I had such a great time last night meeting up with some really cool bloggers. I was in awe with how much they do and all their really cool posts. They inspired me to get moving with a few things that I needed to finish up for my TpT store. Before we left for the break, my class worked on abbreviations in their writing. 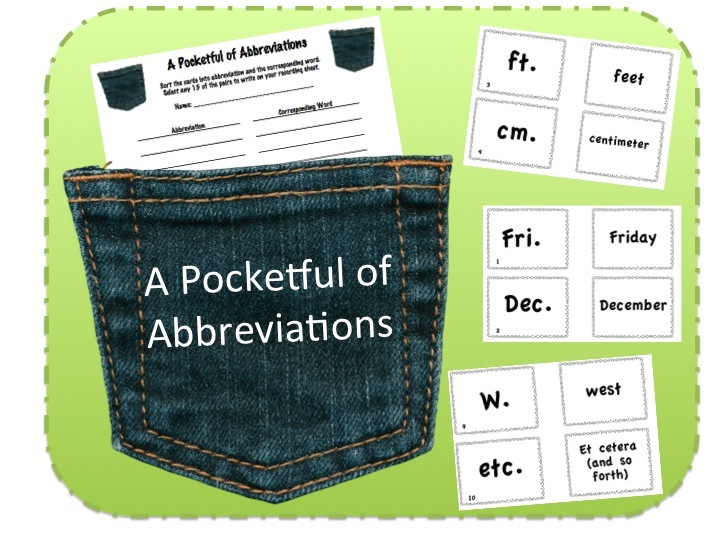 I created an abbreviation sort for one of their language arts rotations. I love it when my students start making connections! They are seeing figurative language everywhere! It is so funny when they stop in the middle of something and shout, "Simile!" 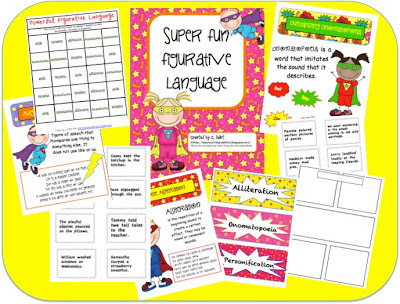 Here is a figurative language packet I put together with a little super power theme! My students have loved it! So...Ba Bam! Here are my newest creations! Hi I found you through my own Liebster Award! You have a very nice blog! I love your bluebird of happiness theme! So cute. The figurative language stuff looks AWESOME! That is what we covered right before break! Jealous of your bloggy meetup! I've been to a handful of meetups here in Houston, but no other person in our Houston group is a teacher, which is sad! I had fun making the figurative language packet! My students loved the characters. Keep an eye out for our next bloggy meetup! You can always travel this way! H-town is not that far. I went to Bellaire high school!